Cory & Topanga with their kids. . Wallpaper and background images in the Boy Meets World club tagged: boy meets world cast girl meets world. 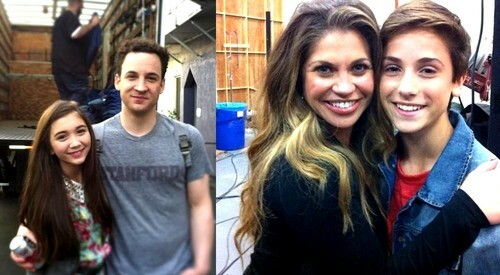 This Boy Meets World photo contains street, city scene, and urban setting. There might also be brownstone. OH. How cute. I want to be their Auntie. I'm stanning this family so hard already <3 Disney don't disappoint!